A sophisticated design, plush interior and cutting-edge technology: these are just some of the qualities which make the Renault Mégane an exceptional family hatch. The Mégane’s wide grille with prominent Renault badge ensures it stands out from the crowd. Drive away your car of choice with Renault’s EasyLife range which offers the Mégane in three models: Play, Iconic and GT Line. With a daring and assertive style, the Mégane is instantly recognisable with C-shaped headlight signature, LED daytime running lights and 3D effect technology to the rear of the car. Boasting a sporty exterior, the Mégane GT-Line features a muscular front and rear bumpers, dark chrome door mirrors, silver rear diffuser and sport seats – sit back for an exhilarating ride! Inside, the interior has been designed to deliver superior comfort and harmony. Along with generous cabin space, the Mégane boasts state-of-the-art technology including the R-LINK2 Navigation on a 7” touchscreen, or 8.7” touchscreen (with the GT Line). The R-LINK2 provides Apple CarPlay and Android Auto capability, Bluetooth audio streaming and the option to make Hands Free calls.  Additionally, the GT-Line offers TomTom® LIVE services with Western European mapping and real-time traffic information – arrive safely and bid farewell to traffic jams! Exclusive to the Mégane, the ingenious MULTI-SENSE system allows you to engage with five unique driving modes which regulate features such as engine response & noise, on-board tone lighting and steering power. Choose from “Eco”, “Comfort”, “Neutral”, “Sport” or “Perso” to suit your mood. 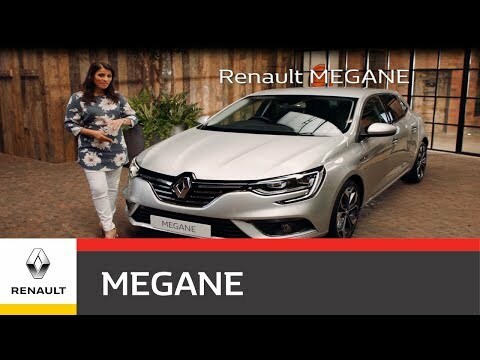 Along with comfort, Renault has designed the Mégane with safety at its core, featuring a host of technologies including Emergency Brake Assist, Hill Start Assist, Cruise control and Hands Free keycard. Additional features, available in higher specification models, are designed to keep you fully in control and alert including Lane departure warning, Traffic sign recognition and automatic dual zone climate control. Fuel-efficient, dynamic or responsive: choose the engine to suit your driving needs. The TCe 130 and dCi 110 are both available with a six-speed manual clutch, or a six or seven-speed EDC (Efficient Dual Clutch) automatic, depending on engine type. Achieve exceptional fuel-efficiency with the Diesel dCi 110 engine, which offers one of the lowest carbon footprints in the Renault range with stop/start technology. If you are looking for responsiveness and flexibility, the TCe 130 engine offers you the same performance as a 2 litre atmospheric engine, thanks to its integrated turbocharger.